We offer our carpet and upholstery cleaning services to all types of industry sectors including: Offices, Schools & Colleges, Restaurants & Hotels, Hospitals and Showrooms. We provide free quotations on request so please give us a call and we will arrange a visit to discuss your individual needs and requirements. Our efficient high pressure, high vacuum turbo machine produces more steam to acheive that true clean effect you need and want. We have the full range of products to treat all types of stains and odours. Our machines are sanitised after every job and ready for you. 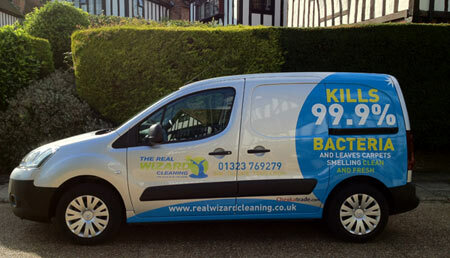 Our lowest ever internet prices include as many chemicals and spot cleaners as necessary insuring the Real Wizard Clean.